Play as Marcus Holloway, a brilliant young hacker living in the birthplace of the tech revolution, the San Francisco Bay Area. Team up with DedSec, a notorious group of hackers, and expose the hidden dangers of ctOS 2.0, which, in the hands of corrupt corporations, is being wrongfully used to monitor and manipulate citizens on a massive scale.With the power of hacking and DedSec by your side, launch the Hack of the Century, take down ctOS 2.0 and give freedom back to whom it belongs: the people.Explore a massive and dynamic open-world offering an incredible variety of gameplay possibilities: Hack your way through traffic through the winding streets of San Francisco or infiltrate the cutting edge offices of Silicon Valley companies.Hack into the city’s infras­tructure, every connected device, and everyone’s personal database. Take control of drones, cars, cranes, security robots and much more.Use hacking and stealth or combine hacking and your weapons to complete missions. Upgrade your hacker tools RC cars, Quadcopter drones, 3D printed weapons and much more. The Ubisoft Watch Dogs 2 Xbox One Game was added to the Xbox One Games category in January 2017. 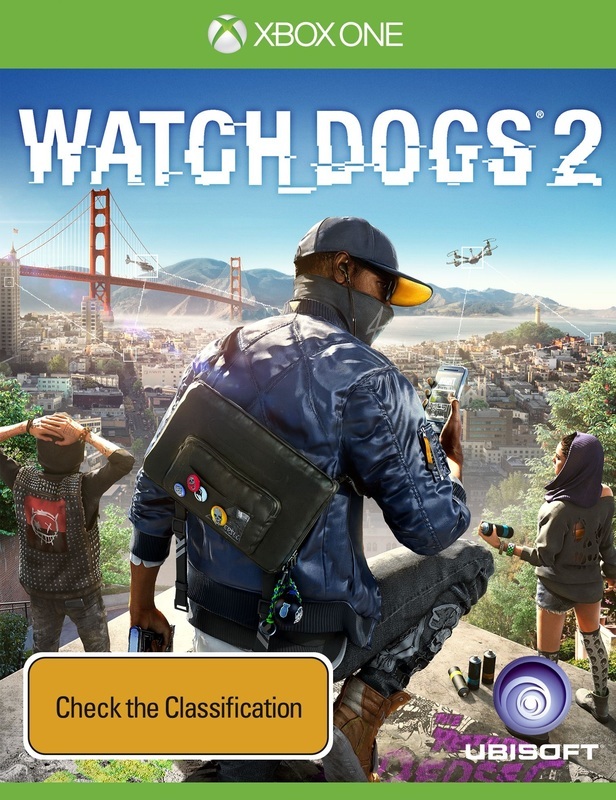 The lowest price GetPrice has found for the Ubisoft Watch Dogs 2 Xbox One Game in Australia is $20.00 from The Gamesmen. Other merchants who stock it are The Gamesmen, DVD Land, Mighty Ape, Amazon AU.